* Scared Monkeys will continue to follow this story as it develops. Make sure to tune in Sunday night at 9 pm et for the Dana Pretzer Show on Scared Monkeys Radio when his guests … Jossy Mansur, Managing Editor of Diario Aruba, crime blogger Blink from Blink on Crime, Diane Fanning, Clint Van Zandt and Red from Scared Monkeys will be discussing the recent events with Joran Van der Sloot, prime suspect in the murder of Stephany Flores Ramirez in Peru and the implications to the Natalee Holloway case. 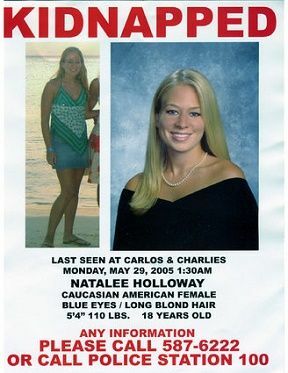 Natalee Holloway went missing on May 30, 2005 when she was last seen leaving Carlos n’ Charlies on Aruba with Joran Van der Sloot, Deepak Kalpoe and Sataish Kalpoe. Our first post covering the disappearance of the Mountain Brook, Alabama high school graduate Natalee Holloway was entitled, “This Can’t be Good for Tourism, Where is Natalee Holloway?” No truer words were ever spoken and the affects of a crime like the disappearance of Natalee Holloway in turn created what can only be one of the most incompetant and corrupt cover ups ever witnessed. For an Island paradise that prides itself on sandy beaches and a constant trade wind, the last thing they would want is bad publicity of an unsafe island. 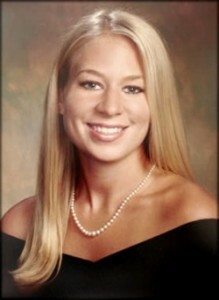 However, An Alabama high school student, Natalee Holloway, disappeared during her graduation trip to Aruba. For month after month and year after year the family, friends and millions of people who grew to know Natalee Holloway as their own sister, daughter, cousin or niece saw the injustice of what was occurring in Aruba. So much that today, the last three people ever to be seen with Natalee Holloway walk free. Who knew, actually some did, that Natalee Holloway’s family would have to battle law enforcement, the tourism bureau and certain Aruban media in the quest to find Natalee? Justice was replaced by cronyism as Natalee’s family battled obstacles every inch of the way. However, just as the three suspects were arrested, they would later be set free. The roller-coaster ride of the search and investigation to find Natalee was like some thing one would read in a fiction novel. 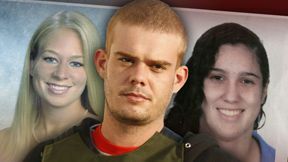 So much injustice that even when the prime suspect in Natalee’s disappearance confessed to the crime, not once but twice … Joran Van der Sloot still is allowed to walk a free man and charged with no crime. In Aruba, if you lie enough … you are considered not a suspect. For five years Scared Monkeys has backed, supported, searched and done every thing we could for Beth Holloway and the family in order to help provide answers and justice for Natalee. There have been so many calls and discussions with Beth to provide what ever help we could. So many efforts behind the scenes to aid in what ever way possible to help in what ever way possible to provide … JUSTICE FOR NATALEE. Much more can be read, reviewed at Scared Monkeys.net: Natalee Holloway. Five years later, Beth Holloway fights on for missing persons. On a personal note, Beth is one of the strongest and most determined individuals I have ever met. However, there are those other moments when she is nothing more than a mere mom who is desperately trying to find her beloved daughter. It is those moments that your heart breaks for her. However, Beth remains resolute in her quest to help the missing and their families. God Bless you Beth. Her mother, Beth Holloway, who has worked tirelessly to keep attention on her daughter’s disappearance, will be in Washington in June to announce the opening of the Natalee Holloway Resource Center, a new nonprofit to assist families searching for missing relatives. The center will be based at the National Museum of Crime & Punishment on Seventh Street NW near Chinatown and the Verizon Center. The museum features Holloway’s disappearance in its “Cold Case” exhibit. The nonprofit plans to serve as a crisis clearinghouse for families of missing persons in the United States and abroad, according to a statement from the museum. The nonprofit plans to give family members a plan, contact information, a media liaison and other services. It also will offer guidelines for children and adults to travel safely, including creating a national network of college volunteers who will promote the group’s safe travel program to high school and college students. Natalee Holloway Center to Open in D.C.: Crime Prevention, Help Families of Missing, Among the Goals. Five years later and Beth Holloway is still looking for answers and justice for Natalee. She is also providing resources for other families that might suffer the same terrible situation of finding one of their loved ones a the victims of a missing persons. God Bless Beth, and we are always behind you.